After their triumph against the D Team the C Team travelled to the Open University full of hope. Things didn’t start well when Richard McMorran on Board 3 got behind on the clock (who doesn’t against George Ward? ), forgot to castle and succumbed to a crushing attack. However the Walkers hit back in style. Nigel’s young opponent set off playing plausible moves but when things got a bit complicated he started to leak material with an inevitable mid evening finish. 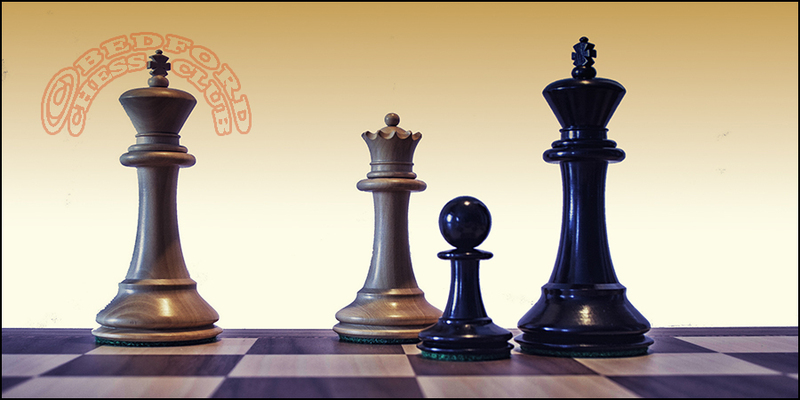 Robert, facing a Sicilian defence, appeared to reach a double edged position. He was a piece up but had to be careful about his opponent’s threats. Richard and I were puzzled when he appeared to give up his piece, as was his opponent who promptly took it, only to resign a move later when Robert, still with mating threats of his went a rook up. So 2 to 1 up and the old codgers on Boards 1 and 2 still very much in their games, both with dour Bishop and Pawn endgames. I had spent the whole evening thinking I was struggling to equalise, managed to steer into what I thought was a drawn ending, only to blow it by a succession of feeble moves and one complete lemon. Actually Hiarcs (Apple’s Fritz) reckons I was better throughout until I opted for an ending. Joe was our last hope but he lost a pawn or two and was finished off (with time running short – when doesn’t it for Joe?) by competent endgame technique.